You are here: Home / Affordable Residential Timber Frame Package! Many couples often search for an affordable place to settle down. This can be really tedious and exhausting. Luckily, Groton Timberworks might just have the perfect solution. Groton Timberworks comes with one of the best wooden structure offers that you should definitely acquire. This residential timber structure spreads throughout the 28 by 32 square feet area. Its Hemlock frame is ready-made, and the structure has been cut sanded and ready to be delivered to your plot. The company offers installation with accordance to what the client wants. The house comes with three spacious bedrooms and two bathrooms. 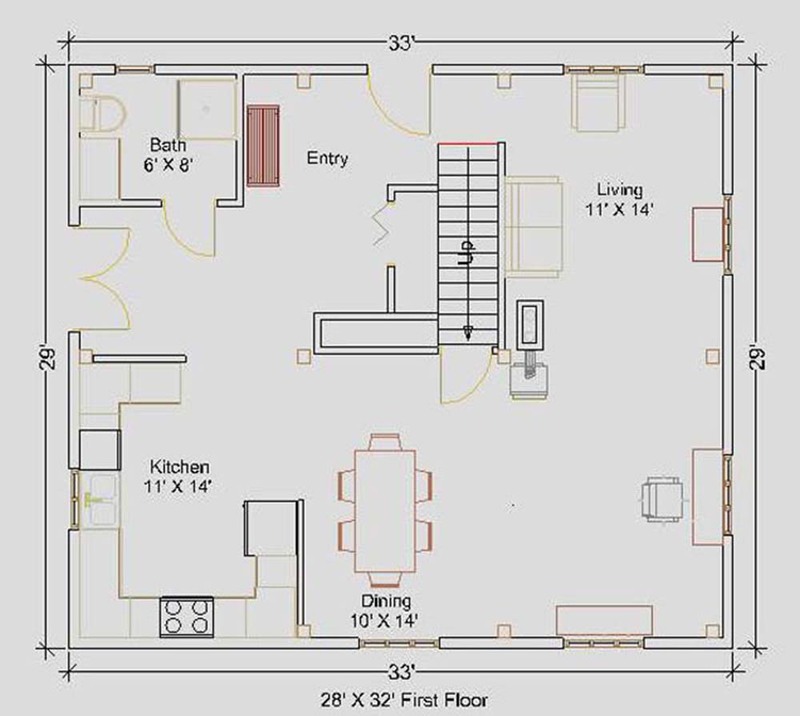 The first floor shows a lot of space, and as soon as you get inside the house, you will first walk into the kitchen or the living room. The kitchen has an L-shaped structure. Across the kitchen, you can see one bathroom. Since there are no wall dividers that closely separate most areas on the first level, this creates more space. The rooms, however, are divided into a variety of divisions. The second level has a sitting room that you can turn into a small study area. 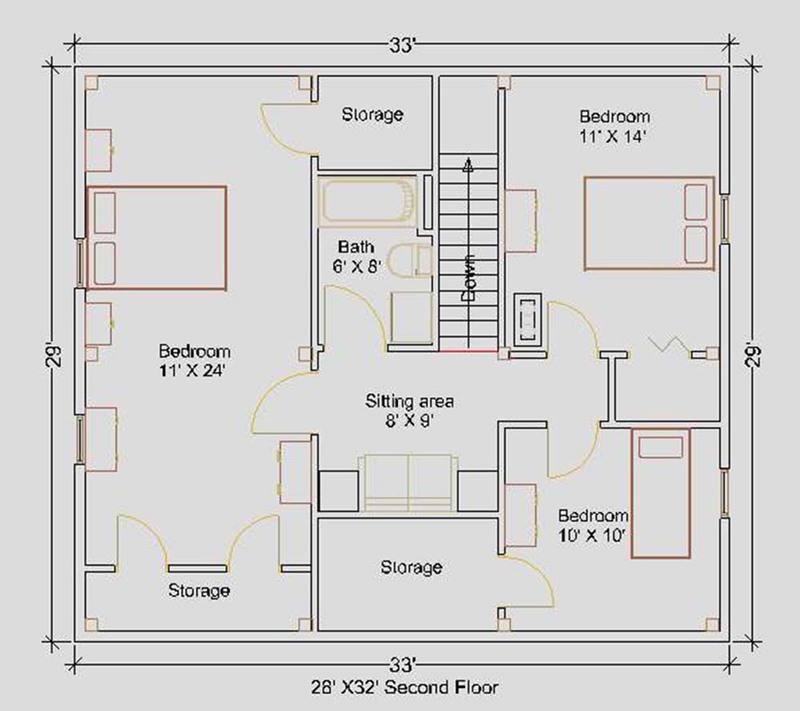 The master bedroom contains a storage area that can be converted into walk-in closets. They also have shower room per floor. Overall, the entire house is very simple and easy to navigate. You don’t have to spend too much just to find the perfect home for you; this timber home is the ideal home for those looking comfort and practicality. 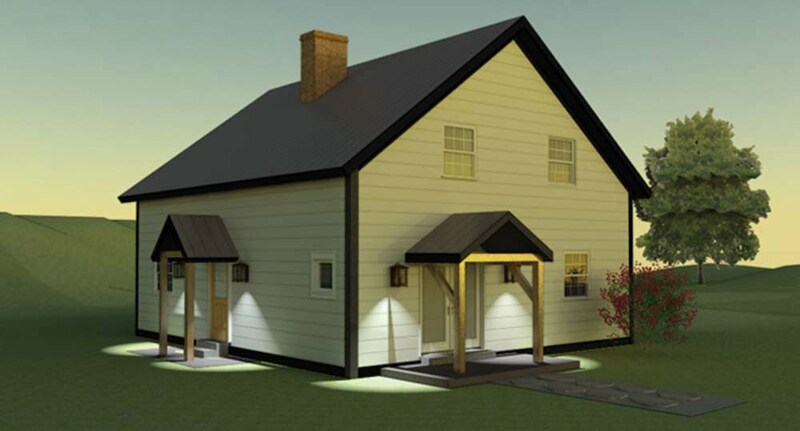 This house is simple, timeless, and very affordable.